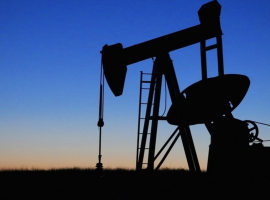 Natural depletion from mature oil fields will significantly erode oil production in the region, and new projects will not be able to makeup for the decline. 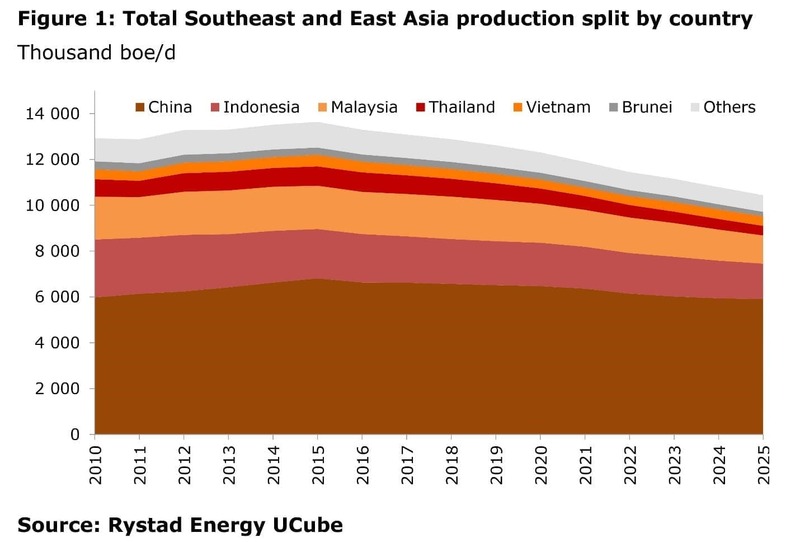 Rystad Energy expects total oil production in Southeast Asia and East Asia to decline to 10.4 million barrels of oil equivalent per day (boe/d) by 2025, down from 13.1 million boe/d in 2017. Oil production from China, Rystad Energy predicts, will decline by the least, “supported by the stable output from the giant Changqing field and several ramping up projects, including Longmaxi Shale.” The predications show the Changqing field contributing more than 1 million boe/d over the next five years. But production in Southeast Asia doesn’t fare as well, with output dropping sharply. Rystad cited the example of the ExxonMobil led Banyu Urip project in Indonesia and Shell’s deepwater project Gumusut-Kakap in Malaysia, both of which to peak and decline over the forecast period. Underpinning the decline in output from mature fields is the dwindling volume of new oil and gas discovered over the past decade and a half. In fact, since the broader oil market downturn began in 2014, discoveries in East and Southeast Asia have plunged. In 2017, the worst year for discoveries, only about 300 million boe in reserves were discovered, down from over 4 billion boe in 2012 and 6.5 billion boe in 2000. Fewer discoveries will mean fewer and fewer new sources of supply coming online in the years ahead. Even as China doesn’t suffer as much as some of its regional neighbors, output has still declined quite a bit in recent years. The IEA sees China producing an average of 3.8 million barrels per day (mb/d) in 2018, down by 0.5 mb/d since 2015. Much of China’s output comes from mature oil fields and requires hefty levels of investment to keep output from falling. 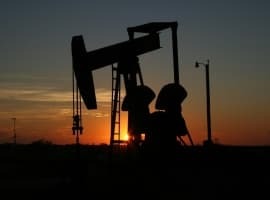 The market downturn that began in 2014 forced China’s main state-owned oil companies to scale back spending, and ultimately, the companies shelved some production that was no longer profitable. In a global context, Southeast and East Asia amount to a major bullish force on the oil market, not only because supply is falling, but also because demand is soaring. By all accounts, Asia will represent a large slice of future oil demand growth going forward. Just a few days ago, BP published its annual Energy Outlook, in which it predicted that China and India alone would make up half of total global energy demand growth over the next three decades. Related: What Is The Right Price For Oil In A Balanced Market? That stands in sharp contrast to, say, North America, where supply is growing significantly and demand is expected to be flat at best over the next decade or so. These trends likely mean that the shipment of crude oil that just left the newly revamped Louisiana Offshore Oil Port (LOOP) and appears to be heading for China, will be increasingly common in the years ahead. The U.S. is retooling other ports, such as the one at Corpus Christi, TX, to also handle very large crude carriers (VLCCs). China emerged as a top buyer of U.S. crude last year, a relationship that should grow going forward. That is especially true since oil production in Asia is declining. And no shale won’t fill the gap either, their decline rates will eat them alive.